Kanzaki is frustrated that his failure to graduate high school is still affecting his career options at the age of 27! He consistently gets offered lower salaries than other applicants, just because of his school history. His friend Takemoto introduces him to a different plan of making money-- stealing and copying bank cards! 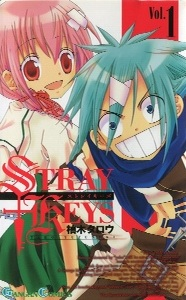 At first, all goes well, but soon Kanzaki learns that they have stolen from the wrong men. 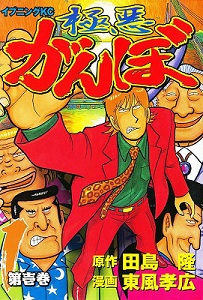 After his friend sells him out, Kanzaki is faced with a shady 'conflict resolution' company, which intends to force him to pay for his crimes. First, they send him to a work boat, where there are many men engaging in physical labor to pay back debts, in a situation that reduces them to little more than lifelong slaves. This is absolutely not how Kanzaki wants to resolve this conflict, and he's determined to find a better way. His efforts to pay for his ill-advised crime spree will change his life forever! 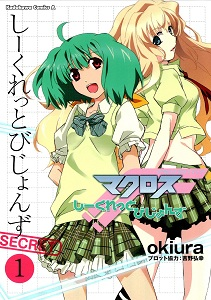 This story is related to the manga "Macross F." Here, the focus is on the famous singer, the "Galactic Fairy" Sheryl Nome, and the aspiring teenage singer Ranka. At this time, they are both attending Mihoshi Academy. Sheryl records a PV for their school festival, and then teams up with Ranka to perform in a 2-vocalist combination! They might have a hard time working as a team at first, with the combination of Sheryl's experience and arrogance and Ranka's inexperience and self-doubt. Misaki is a member of the calligraphy club at school, but all of the other members have just graduated, leaving her all alone. In order for the club to continue to exist she needs to find new members. One hot day, she meets a strange new transfer student, Haruka. Haruka sleeps a lot, and is very fond of popsicles. She doesn't really have any interest in calligraphy, but she joins Misaki's club anyway. Most of her reasoning seems to be that Misaki bought her a popsicle once, and the clubroom has a great air conditioner. Soon, several of Misaki's other friends also join the club, and she's set for a great year of club activities-- except that none of them really care much about calligraphy! However, thanks to all of their extremely quirky personalities, it will not be a dull year! My favorite this week was Area 51, by far. 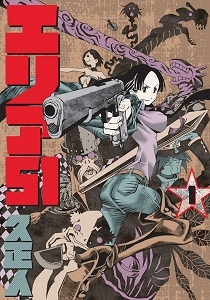 The art is a little unusual, but I really liked the stories to the cases Makkoi takes on and the continuing background story of Makkoi's present life and how it came to be this way. I think the premise has a lot of potential for continuing creative stories, too. Also, Gokuaku Ganbo grew on me, too, despite its weird art. The genre is not my favorite, but I think it would definitely be worth checking out for people who are into that kind of crime/debt story. 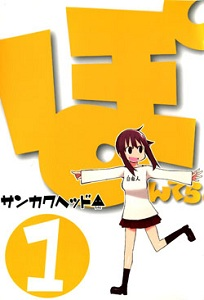 The only one that sort of piqued my interest was Gokuaku Ganbo since it kind of reminds me a little of Kaiji because of its getting out of debt aspect. If you haven't done so already, check out the scanlations of the mangas from previous shout outs which have been recently scanlated: sci-fi action manga Trauma Ryoushi Kesshou (MH link), slice of life comedy Neet Onna to Shougaku 2-nensei (MH link), school life sports manga Vamos la! (MH link).